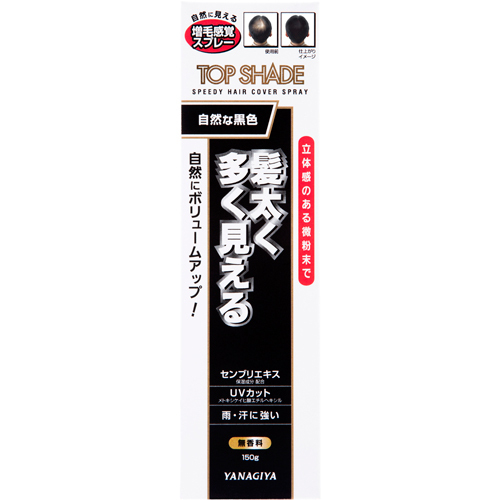 By simply spraying it on before going out, TOP SHADE adds natural volume to your hair. 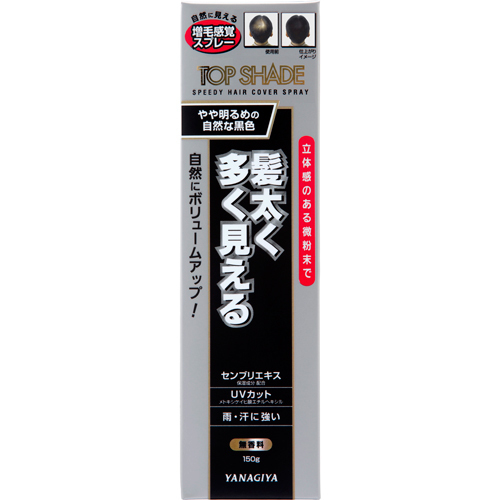 It covers gray hair along the part as well as worrying thinning hair. 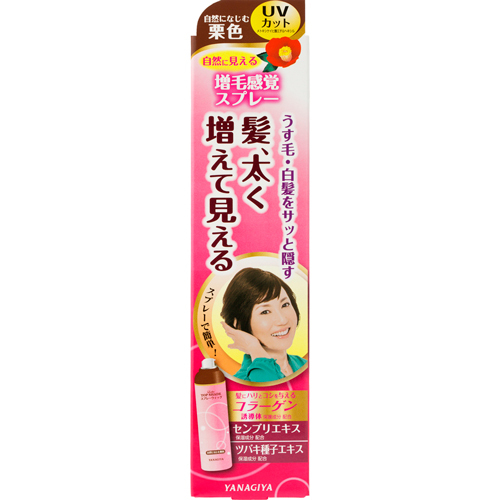 The natural ingredients including swertia japonica extract (moisturizing), collagen derivative and camellia seed extract moisturize the hair, while a U.V. 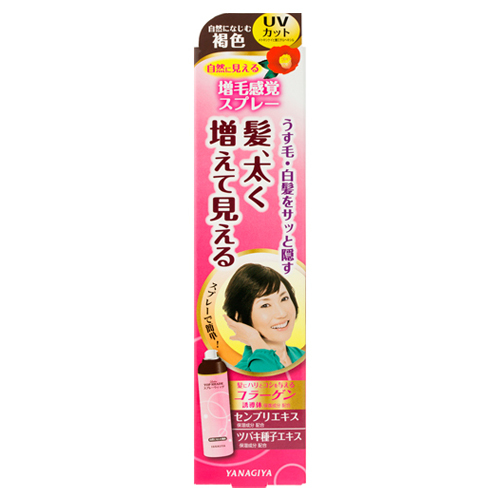 blocking ingredient (Ethylhexyl Methoxycinnamate) keeps women’s hair and scalp healthy. Just by spraying before going out adds natural volume to your hair. 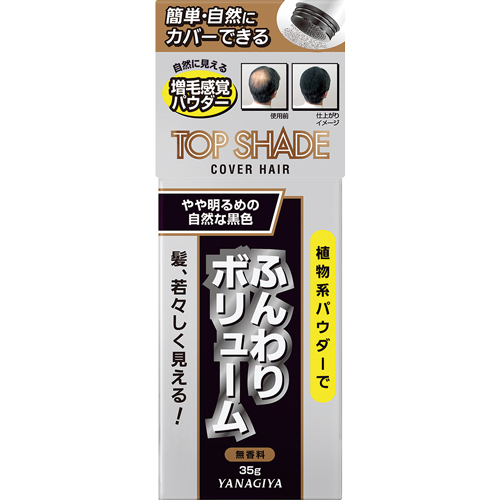 Covers gray hair in parts as well as worrying thinning hair. 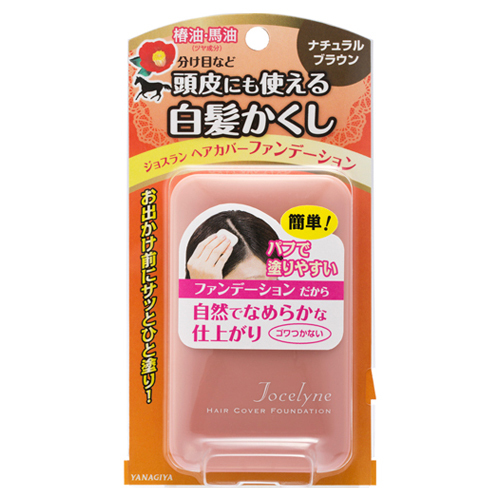 This sprinkle-type hair cover that uses fine powder made from botanical cellulose fiber is for those who are concerned about thinning hair, specifically on top of the head, to easily experience youthful hair with volume. 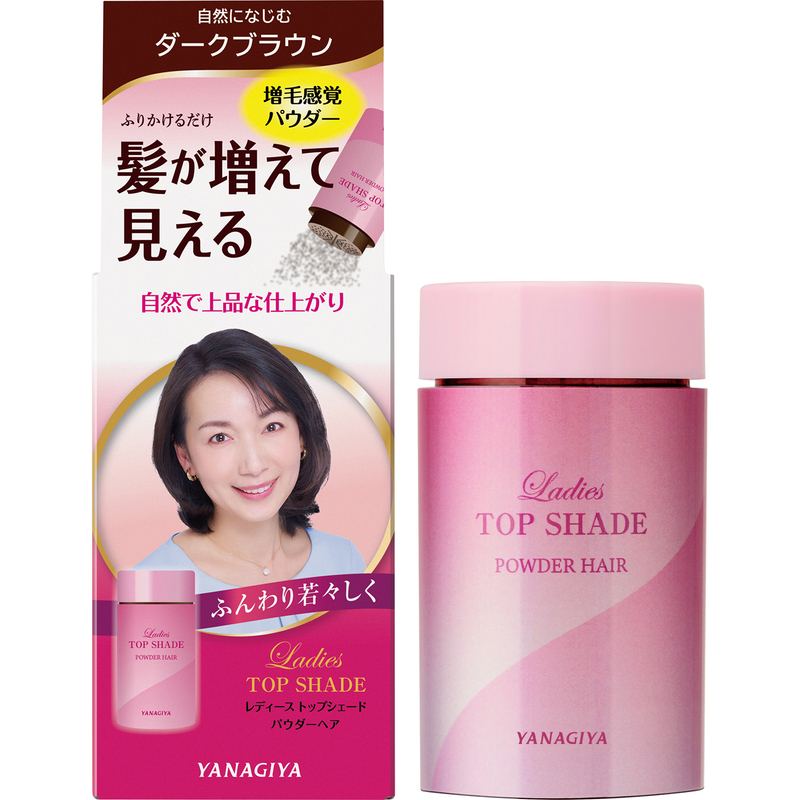 Spraying before going out makes thinning hair unnoticeable and the fine, three-dimensional powder makes hair look thick and lush. Easy and fast with the spray type! Suitable for pinpoint use as well. 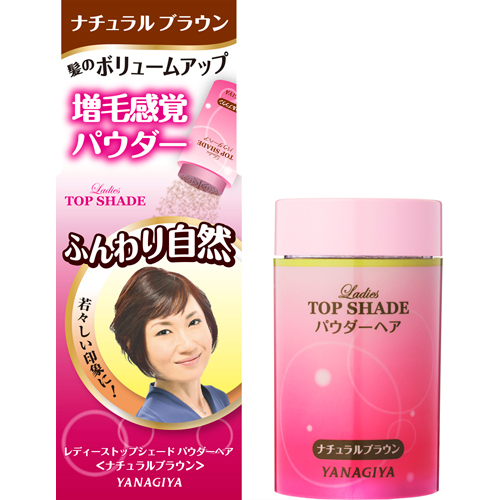 The fine, three-dimensional powder makes hair look thick and lush. Large 250g economy size for heavy use. Easy and fast with the spray type! 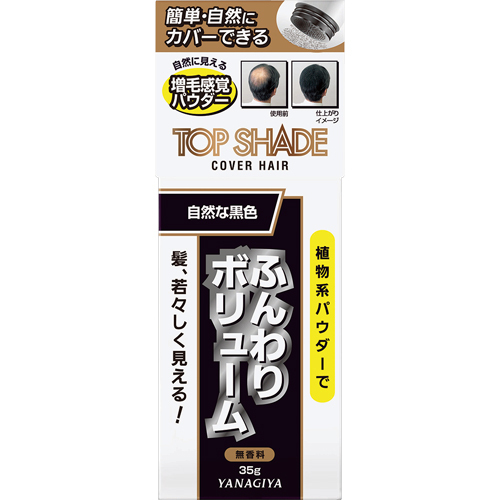 Covers thinning hair naturally. 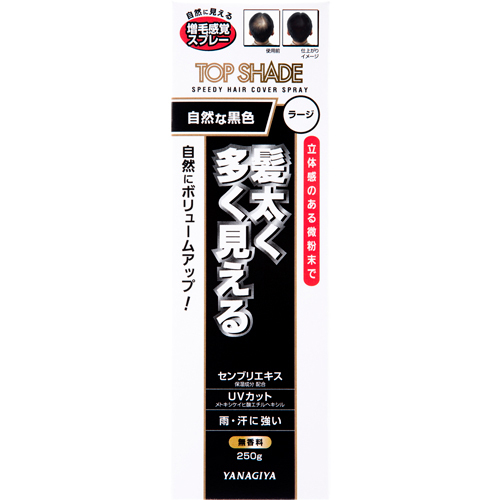 Before going out, it quickly covers the parts or hairline where gray hair stands out days after a hair dye. 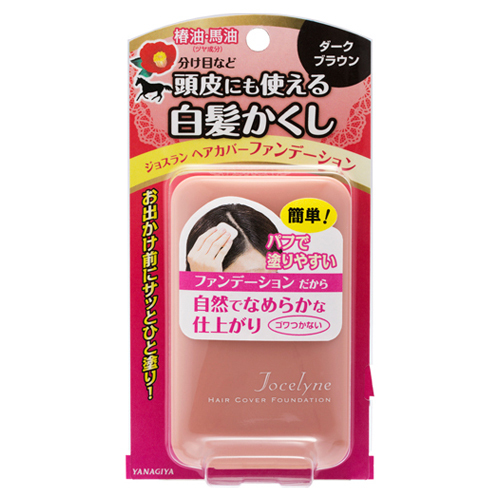 The foundation can also be applied to skin, so it covers thinning hair naturally by also lightly applying it to skin.